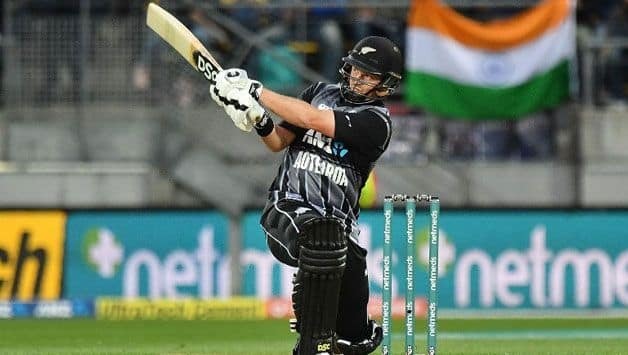 Munro registered his first T20I fifty since October, and with support from Seifert and de Grandhomme, guided NZ to their second 200-plus total of the series. 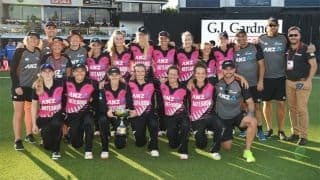 A day after he was dropped from the squad for the first two ODIs against Bangladesh, Colin Munro brushed aside the disappointment with a sparkling half-century, firing New Zealand to 212/4 against India at the Seddon Park in Hamilton on Sunday. In the final match of the tour, Munro registered his first 50-plus score since October, and with support from fellow opener Tim Seifert and Colin de Grandhomme guided New Zealand to their second 200-plus total of the series. 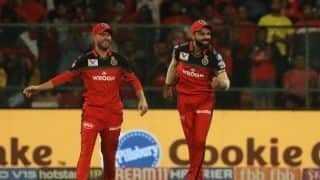 From the moment he walked out, Munro looked to be in imperious touch, the first sign of which was evident from a flat batted six off Bhuvneshwar Kumar in the first over. Despite a tidy first spell from him, Munro and Seifert launched a repeat of the assault in Wellington. 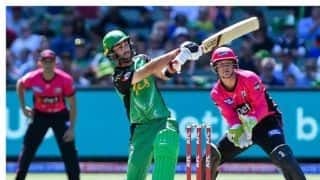 With the score on 21 for 3, Seifert began the damage, taking Khaleel Ahmed for 16 runs in the fourth over, followed by his and Munro’s scathing attack on Krunal Pandya’s opening over which went for 20. 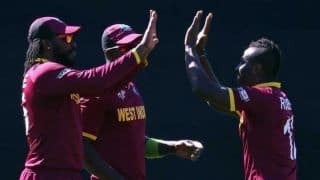 By the Powerplay, New Zealand had raced to 66 without loss. Sloppy fielding and dropped catches did not help India in the field. The first ball of the eventful 13th over saw Khaleel Ahmed drop a sitter to offer Munro a reprieve. That was just the beginning of an eventful over. Munro added insult to injury off the he third, fourth and fifth ball of the over that resulted in 14, leaving Hardik Pandya furious. Within no time, Munro had stormed to 72 off 39. That however, was all she wrote, as Kuldeep had Munro holing out at long-on. India sensed a door and tried knocking it down with the with the wicket of Williamson, top edging Khaleel to Kuldeep at short fine leg. But the platform for a big total had already been set and taking New Zealand forward from there was Colin de Gradhomme. He took a boundary and a six off Krunal’s final over, and spoiled Bhuvneshwar’s second spell with a 15-run over. 200 seemed to be a gettable total and New Zealand brought it up in the penultimate over. Ross Taylor thumped a six off the first ball and a four off the final to spoil an otherwise decent final over. Brief Scores: New Zealand 212 for 4 (Colin Munro 72, Tim Seifert 43; Kuldeep Yadav 2 for 26) against India.